As a publicly-traded company, General Motors is now worth more than Tesla, whose shares experienced a substantial devaluation over the last two weeks on concerns about sales performance, competition, and the safety of its vehicles. At market close on Friday, July 7th, General Motors stock traded at $34.94 per share for a market capitalization of $52.83 billion (calculated by multiplying the value of the company’s shares by the quantity of outstanding shares). Tesla shares, meanwhile, were trading at $313.22, up 4.39 percentage points for a $52.18 billion market capitalization. That is significantly below the start-up’s all-time high of $383 per share achieved on June 23rd. Even with the drop, however, Tesla’s shares are up 44.6 percent in 2017 versus the S&P 500’s 7.6 percent return through Thursday, July 6th. Market watchers and traders attribute the roughly 20 percent drop from the all-time-high value as an indicator of a bear market, but analysts don’t entirely agree. Instead, they believe that the future for Tesla doesn’t look as bright as it once did. What’s more, Tesla’s second quarter 2017 deliveries of 22,000 vehicles missed Wall Street consensus of 24,200. Tesla attributed the lower sales volume to a production issue with its 100 kilowatt-hour battery packs, but that doesn’t entirely sit well with analysts, either, as multiple Wall Street firms including Goldman Sachs, Bernstein, KeyBanc Capital and Cowen noted displeasure over Tesla’s second-quarter delivery results in notes to clients over the course of the week. “Tesla’s Q2 production and deliveries report raised more questions than answers, particularly about Model S and X demand,” wrote Bernstein’s Toni Sacconaghi in a note to clients last week. But the concerns don’t end there: one of Tesla’s key selling points for its vehicles — their apparent safety — is being questioned. 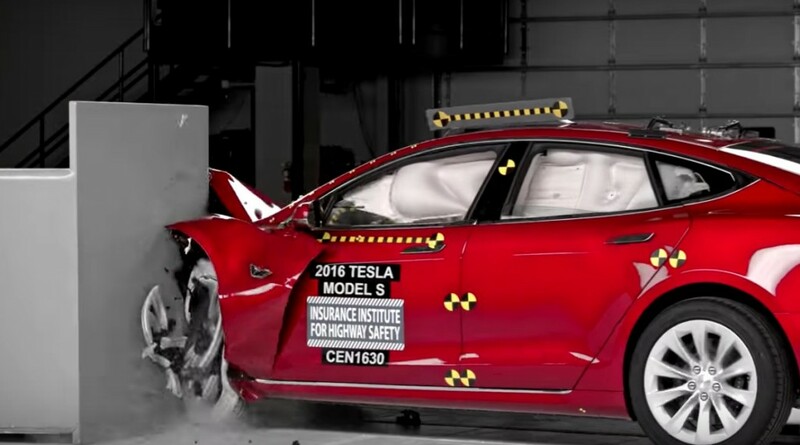 On Thursday, the Insurance Institute for Highway Safety (IIHS) casted doubt on Tesla’s claim that the Model S is the safest car in history after a series of new crash tests. “If you’re looking for top-line safety, we believe there are other, better choices than the Model S,” IIHS’ Dave Zuby was quoted as saying to CNBC. Possibly the biggest, most important reason for the steep drop in Tesla share price is the rising competition in the electric car space, with General Motors leading the charge. 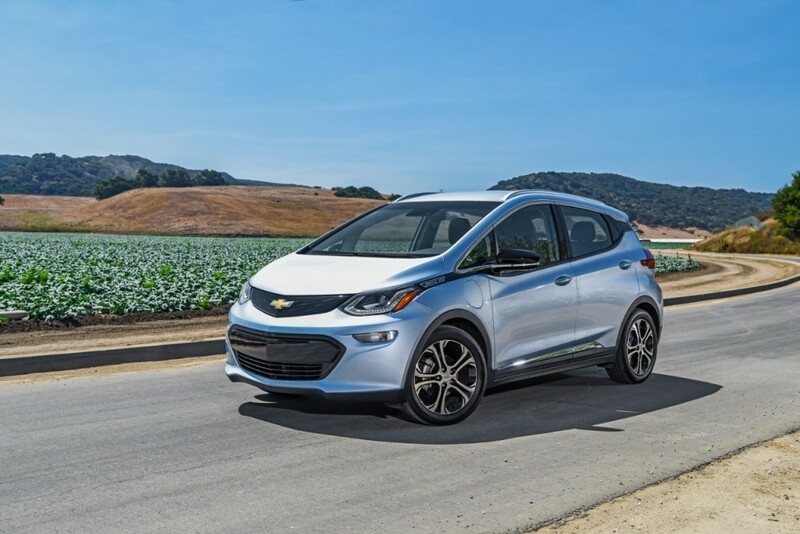 The General’s Chevrolet Bolt EV just had its best sales month in June with 1,642 deliveries — and that’s only with limited availability of the vehicle prior to a nation-wide rollout in August. The Bolt EV is just one of a series of upcoming electric cars from GM, with other makers following suit. Meanwhile, Tesla’s Model 3 — the vehicle that the company is hoping will bring it to profitability by substantially increasing sales volume — has just started production. The fact that Tesla’s net worth (market capitalization) is even remotely close to that of GM is mind-boggling, given that the company has never turned an operating profit in its history and barely sells 20,000 cars in a three-month period — less than 7,000 cars a month. Meanwhile, The General moves well over one million vehicles every quarter from all categories, including mainstream, premium, and luxury. So as much as some would like to love Tesla as the little automaker that could, we still believe that it has a lot to prove before stepping into the ring with industry titans. I believe that GM has far more value than Tesla. GM is a world organization (albeit shrinking is Europe and other locations) and produces a wide variety of vehicles from very large to very small and many in between. I describe Tesla as more of a “one trick pony” who is only producing one type of vehicle being all electric. Tesla continues to see money from investors to stay operational. How much more are investors going to wait for Tesla to turn “Red into the new Black”? a lot of tesla investors put down the refundable deposit on the model 3 hoping to raise the value of their stock. How will tesla afford the next model after the model 3 comes out? Wow. Let’s be honest here. A lot of you guys think Tesla only moves vehicles. While that was their stated goal from the beginning, they’ve attained a much more broad mission. To accelerate the adoption of sustainable renewable energy. GM only specializes in vehicular technology, while Tesla specializes in; 1: Electric vehicles, 2: Energy storage, 3: Solar. GM will never has as much value as Tesla. While GM may sell more cars than Tesla, there has never been a completely amazing breakthrough and innovative product from them that has changed the world. I for one, would like to breathe cleaner air, and live knowing that there’s someone out there that’s fighting for that, and trying to defeat the lobbyists that GM, and several other automakers hire. Sure, I drive a Chevy (which is fuel efficient), i would much rather be driving a Tesla. Also, while composing articles such as this one, try to keep the rhetoric tone down a notch. Breathing cleaner air how boring is that! If you want a electric car go buy a bolt and stop complaining! I am tired of everybody trying to save the planet and expect the rest of the world to do the same! I like what GM is doing as a company they build big trucks, fast cars, comfy luxury cars and trucks, and fuel efficiency car, and electric cars like the volt and the bolt! It’s a entire portfolio that covers just about everything! Now personally I could care less about emissions, MPGS, carbon footprint, crap like that. What I want is this horsepower war we have going on to continue for the next 10 to 15 year at least! Bring on the ZR1! Then the C8! Then the Gen 7 camaro! I’m not saying gas cars are better then electric for the environment but whatever floats your boat do it just don’t make us do the same. You forget that gasoline is pumped with the same electricity that can feed EVs and also made from coal. yet we get electricity directly into every home, while for gasoline you have to travel to a station, use an electric pump, and use electricity to charge the payment. If we had more EVs and less gas cars, we will use less electricity and less coal. Finally, over one third of EV owners charge with wind and solar energy. Can you do that with gasoline? I’m not at all saying that gasoline engines are more efficient then electric ones. But not everyone has to be environmentalist and live there lives hugging trees. I really wish governments would stop pushing there agenda and give people choices. They already give people incentives for buying electric cars and charge a tax for gas guzzling cars that should be enough. Owners of gasoline vehicles are not the only ones being taxed! In MANY states, electric vehicles are being taxed more! While gasoline vehicles suffer the anxiety of jumping and varying gas prices, the rates of electricity are more stable. Where I live, (IN) it’s 8 cents every kWh. If I were to own a Tesla Model S P100D, It would only cost $8 to charge it completely, at my house, which would enable 315mi of range. Only about 75mi short of the average car, which is more than half of the capacity of a gasoline car, which requires an average of about $25 to fill, with a range of max 400mi. Coal? Where I live about 80% of electricity in Indiana is generated by burning coal. While it’s a sad figure, many people use Solar combined with a Home Energy Battery to charge their vehicle, and to reduce their reliance on the energy grid during peak hours, which results in higher energy expenses. Gas station convienance? Gas Stations weren’t always popular! When ICE cars became popular, so did gas stations, and the same will happen with Electric Charging Stations. Tesla, and several other groups and organizations have rolled out and installed thousands of charging stations, for example; Tesla’s Superchargers. There’s more torque to work with, and because of this, we can often times avoid rear-end collisions. Theres no engine in the front, so if there were to be a front end collision, there’d be more crumple room than there would be in an ICE, which saves lives. Batteries are below the carpeted floor, which brings an ample feel to the center of gravity of the car, which adds to rollover resistance. No gasoline smell in your garage, because your car wouldn’t use it. No oil stains on the ground, because your vehicle wouldn’t use that either. Less maintenance costs, as EV’s have electrified powertrains, no water pumps, fuel infectors, fuel pumps. All common issues in ICE’s. If there were an electric pickup truck made by GM, you’d jump on it! Wanna take a guess why? It’d have an INSANE amount of HP, and Torque, enabling you to do heavy duty hauling without worrying about wear on your engine, and gas costs associated with it. It would be quicker off the line than an ICE, because of the instantaneous amount of torque. ALL OF YOU ARE IN DENIAL. I’m not trying to shove anything down anyone’s throat. But the majority of everyone on this damn blog needs to realize that ICE’s will come to an End. The first cars WERE ELECTRIC, and some RAN ON STEAM. Just like advancements in ICE’s, advancements in Battery Chemistry, and Cell structures will provide more than enough needed to coax anyone over to an EV. There’s no reason not to try it. I don’t have a problem with the industry moving to electric cars, and in the future I might buy one! But I won’t be buying one to help fix the planet. I would buy one at that point because it helps my wallet! Even if electric cars become mainstream I don’t ever want to see a time when high performance cars and trucks go away! I think both should be offered at the same time and let people choose what fits them best! Hmmm. I am checking the past tense of the verb “to cast”. Perhaps casted is an alternative use. I feel the electrical interference will kill us all. Faraday your Corvette and live forever. Tesla’s are for old people. What is “old people”? if you are over 18 you are old! General Motors needs to design and develop luxury and mid-price cars and CUV that are all electric powered to compete against Tesla as well as planning for the European market given 49.5-percent of all new passenger cars registered in Western Europe in 2016 were diesel powered with 45.8-percent being gas leaving just 2.1-percent being either a hybrid or electric vehicle. I’ve said it before and I’ll say it again: the Encore Bolt followed by the Trax Bolt will be a license to print money. Electric will come in its own time as it now has a steady investment. The real issue is that Tesla found a niche with an expensive sedans that are easy to make revenue from. Now yo do that on a cheaper car in higher volumes is much more a challange. The next shoe to drop will be the 3 not being $35,000. Expect the price to tide and options to real add up fast like the S does. I would expect most 3 models ovpnce optioned will be $50,000 k by he time peopke get what they want in them. Also how many S buyers will move over and canbalize S sales. The other rentable energy stuff will linger on but there just is such a small market for it. S Korea just ordered a good number of batteries with a tight order date. It will be interesting if a Tesla is on time with their past record of delays in all their products. GM is in oretty good shap vs most automakers. They have a good balance of technologies. They have low debt and goo income. Mary’s work at making them more efficient will pay off here as the auto market slows. Others like FCA, and Ford are not in as good shape as some believe. FCA is in a bad way on products and is way over capacity. They still need a dance partner but no one is asking. Ford is due is they have not lowered their cost like GM and the still have a good dozed debt on the loans the banks gave them years ago. The stock at GM at $33 could be better but Fod has been flirting at $10. Tesla is in need of cash and they are behind on income. At some point the investors will tire of waiting. They may not get enough income from the 3 to update the S and create new models. GM and all automakers do not need a Tesla to fail as it will set back all electric car advancement that they all need. The 3 is in track? It is several years late because the did not get the X model out on time and when they did get it out the issues they have had caused sales to under perform. This lead to gem ore selling the 3 just to get the money to finish the now well delayed 3 model. The next battle will be the fact the 3 is not going yo be a $35,000 car. Musk himself said the price was going to end up higher. The option structure on the S made it like Benz where by the time you got the car you want it adds $20,000 to gen price. Elon has gotten away with this for much longer than most would and at some point the fund investors will walk away. I wager at some point to save this he sells out or partners with a larger brand. Batteries can be recycled! Electric Vehicles emitting radiation? No! It’s Electromagnetic Radiation, and it’s not harmful to humans! Electric vehicles are cleaner than gasoline, and/or diesel vehicles. Heat they generate? More heat is generated from ICE’s than EV’s. We can choose where we get our power from, and what sources are used to get it, and/or match it with Renewable Energy Credits, while ICE owners cannot. Gasoline, and Diesel are all drilled after (takes energy), pumped (takes energy), transported (Energy Conception that takes Even MORE Energy), refined (Takes more energy), and Transported AGAIN (Energy Conception, that takes Even MORE Energy). I’d say ICE’s are adding to the Greenhouse Effect Significantly more by a GINORMOUS margin! I said it before I don’t care about how much of a carbon footprint or what greenhouse effect a car has! All I want to do is enjoy the car I am driving! If that means it’s a gas guzzler so be it! All of this save the planet stuff is costing us the consumers so much because they are forcing us to use or live by these new standards and it’s ridiculous! These new standards are making high performance cars prices go threw the roof. All so we can fool ourselves into thinking we are saving the planet. Well we are not! We are just taking away the pleasure of the people who want to drive around in cars and trucks that are loud, fast, and get terrible mpg’s! So please stop forcing us to live by your new standards! You wanna back that one up about radiation? Make sure you’re not confusing electromagnetic radiation with nuclear radiation, as one is the emission of photons as light (gamma, x-rays, UV, visible, infrared, micro), and the other is a function of chemistry where neutrons decay into smaller and more stable isotopes. Be frigging careful, because you’re being exposed to electromagnetic radiation all the time whether you know it or not. The sun has been constantly emitting electromagnetic radiation for 4.6 billion years, and even your Wi-Fi signals you use are a form of electromagnetic radiation. You should also be careful still if you’re going to say that a Li-ion battery is radioactive. If you do that, and you say that lithium is radioactive, you should know what an isotope is, and which ones actually are radioactive and what their decay chairs are and how short (or long) their radioactive half-lives are. So, show me where you’re getting this guff about radioactive teslas, or any radioactive cars for that matter.